Homeowners will always look for solutions to reduce their electricity bills. Research claims that wise bathroom lighting choices can help most homes decrease their energy expenses. If you want a bathroom that will lessen the use of light bulbs, you may choose to install windows above your walls. High windows can help natural light to direct into the room and decrease your dependency on artificial lighting. Skylights are also beneficial in saving the energy and providing sufficient ventilation. Both window designs can work if you’re planning to remodel or expand your bathroom. Glass bricks are also great additions. Natural daylight can easily pass through these windows and bring life to the room without needing to spend money. But you have to consider the initial cost of installation if you desire to have this type. Do you want to improve your bathroom’s appearance without compromising your privacy and security? Investing in glass blocks can help you achieve that purpose. If you’re thinking of a better bathroom lighting solution, LED lights are cost-effective options that you may consider. Some popular choices include LED strip lights, candles and spotlights. But before deciding what type to purchase, think about the important factors such as the method of fitting, brightness, colour temperatures and safety features. 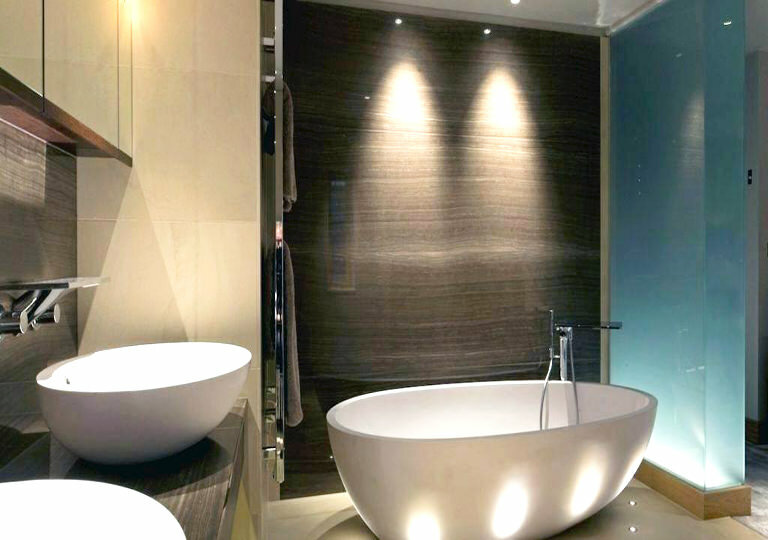 Does your bathroom require downlights, tubes or bulbs? Are you opting for white, warm white or cool white? Where in the bathroom are you planning to install them? Your buying decision will also depend on how you plan to use the lights. LED strips with waterproof features are available to help prevent potential accidents involving short circuits and other electrical failures. They are beneficial for areas that are more likely to get wet. What are other benefits you can get? Bathroom LED lights produce long-term, energy-saving benefits because they are cheaper to run. Most homeowners also prefer these types because they are easier to dim. LED types last 5-10 times longer than halogen bulbs according to Your Energy Savings. When considering this option, it’s good to check the brand and quality to help guarantee its efficiency and durability. Another idea that may complement the light is to repaint your bathroom white. Have you thought about using light colours for your walls and ceilings? Aside from relying on natural daylight or bathroom LED lights, walls or ceilings painted with anything pastel or white may contribute to the interior’s overall layout. Considering it may also help in reflecting the sunlight from the outside source. 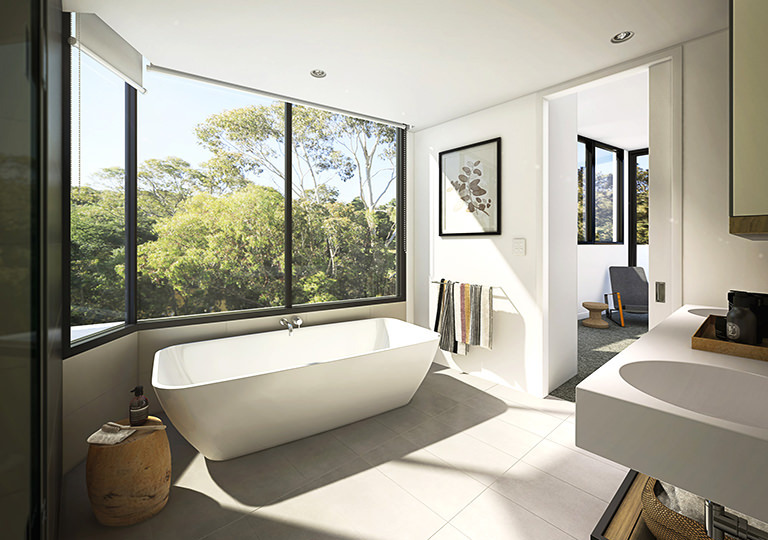 Is there a need to redesign the bathroom or make renovations? Am I using a combination of ambient and task lighting? Do I prefer to use spotlights in shower areas? How about wall lights around bathroom vanities? What height, size and dim specification should I choose? Does it meet the safety regulations? That way you can determine the adjustments you need to make and identify where to place your bathroom lighting fixtures. And all these will depend on your bathroom size and frequency of use. Once you’ve done the initial planning, you may consider the following tips to help maximise your lighting experience while decreasing power costs. Use low wattage bulbs where most light is not necessary. Aim for one switch per light to use only what is required. Think about having multiple switches to adjust the mood or dim feature. Do you want further help from the professionals? A bathroom lighting expert can be your guide to meet your aesthetic and functional needs. Whichever works with your preference, opting for a combination of natural light and modern technology lights is a wise move. Although the upfront cost may be expensive, you may still get the same light output, but with cheaper expense. Do you need a bathroom lighting and renovation expert? HIREtrades provides a list of professionals awaiting your request for free quotes.